If you thought riding on the back of a ladybug only happened in your child’s wildest Alice In Wonderland dreams, best think again. 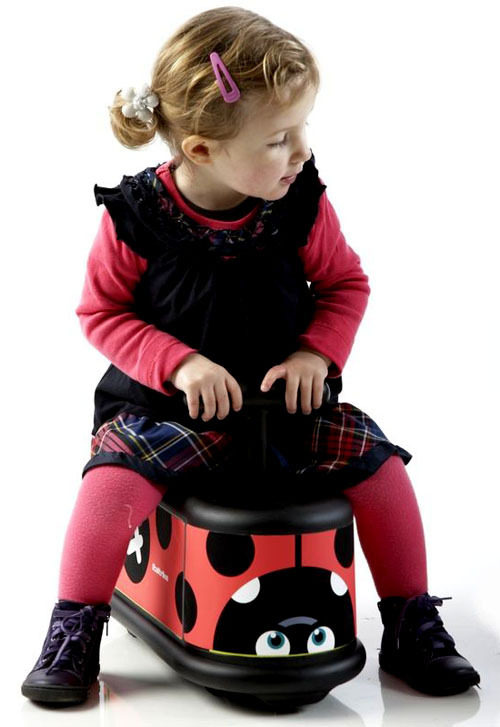 Italtrike will have any insect loving child catching a ride on this adorable ladybug in all its red-with-black-polka-dotted glory. Or perhaps the fire engine is more up to speed? Italtrike save your hardwood floors by providing ride-on toys with rubber non-marking tyres (which coincidently are also great for controlling tyre noise). The front wheels turn three hundred and sixty degrees so there’s plenty of quick getaways to be had from siblings. A storage console under the seat is the perfect makeshift glove box for tiny treasures, loose sultanas or your missing car keys. Designed to hold up to fifty kilograms, Italtrike is suited for children aged one to six. Parents don’t despair as there is very little assembly required – it will be ready to scoot in seconds. 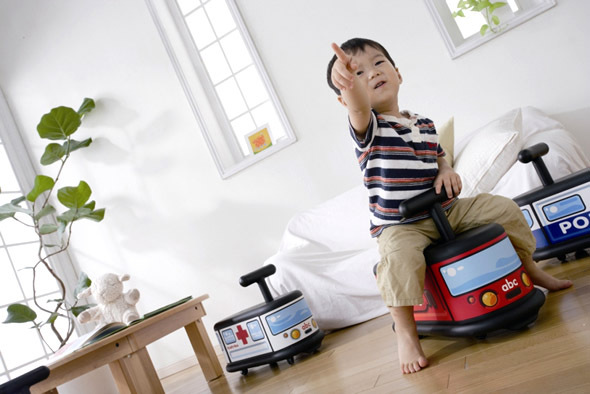 We loved the Triciclino back in 2008 so we’re excited to see Italtrike products popping up in Australian stores now! The Italtrike Ladybug and Fire Truck are available for $89.95 each from UrbanBaby. UrbanBaby deliver all over Australia so your little one will be scooting in no time.